Shoelaces are a necessity in many styles varieties of shoes, but mostly athletic styles. Shoelaces don’t always come in white or colors they also come with magically appearing colors if they’re sunactivated. The newest styles of shoes available today have multiple colors in their design, but they still have boring white laces. SolarActive shoe laces come to life as soon as they’re exposed to the sunlight. Have you seen the magic of color change shoelaces? SolarActive has a proprietary technology that allows the sunlight or UV rays to pass thru the thread causing a change of color. Color changing shoe laces are made of thread that instantly changes color in the sun. 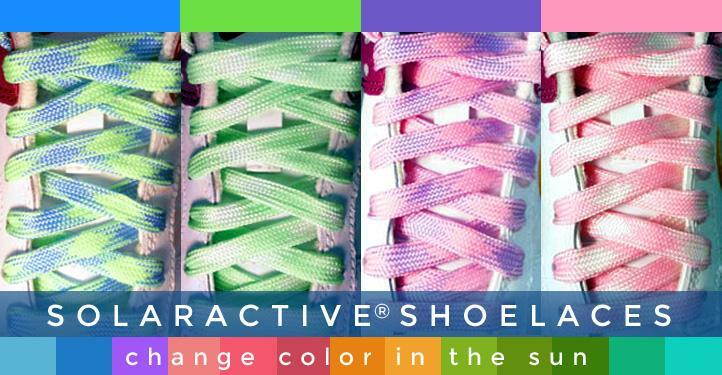 Color changing shoe laces aren’t printed with color changing inks from SolarActive. Instead these shoelaces are processed with the actual woven thread. For instance a pair of shoe laces that start out white when you walk outdoors will immediately turn blue, green, orange or another color just from the UV rays of the sun. When you walk back indoors the color change will disappear, and the shoelaces will turn back to the original color. This process repeats itself over and over again just from the kiss of a little bit of the sun. Some of the SolarActive shoe lace designs are woven with patterns that are plaids, or with metallic yarns. Our new favorites are the plaid shoe laces that start blue and white, but when you go outdoors the sunactivated shoe laces change and 3 colors appear. Blue, white and purple! UV rays continue to change the color over and over again. With the athletic shoes being so bright and colorful why would anyone only want white shoelaces? 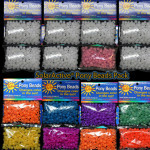 Color changing shoe laces make Great gifts. 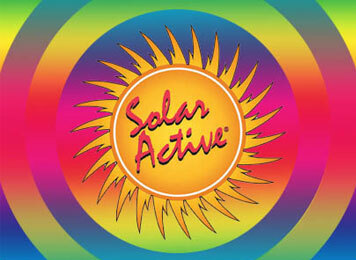 For more SolarActive gift ideas and products that change colors in the sunlight visit the website for details. So much magic to see with all see all the color changes available. How long do SolarActive Screen Printing inks last?